Your "Executive Chauffeur & Airport Car Service" is based in the heart of the Cotswolds, in Cheltenham and Gloucester, Gloucestershire. Arrive at your destination in a luxurious MERCEDES S350L or the BMW 730LD. We are Gloucestershire's leading chauffeur and executive car Company; specialising in a VIP door to door service for businesses and personal clientele, chauffeuring them to meetings and functions during the day or night, throughout Gloucestershire and the United Kingdom. 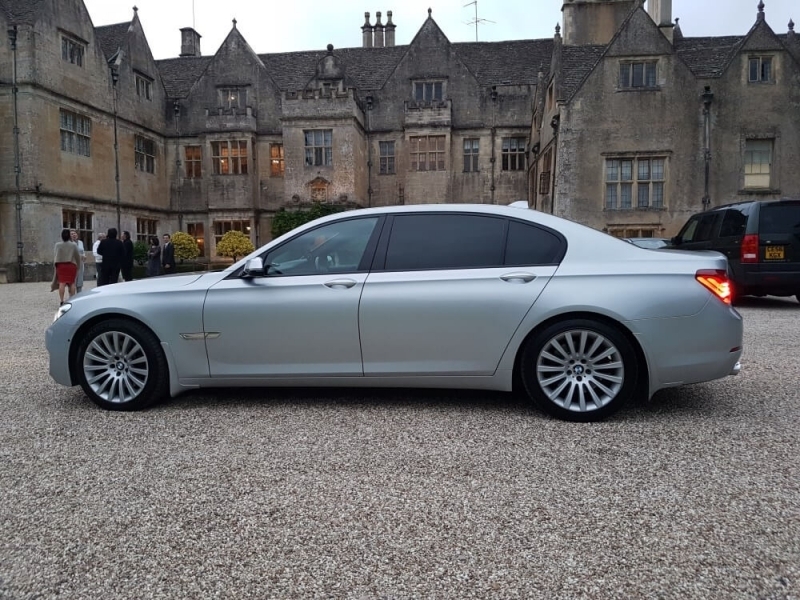 We offer to our personal and business clientele, this service for functions and evenings out inside Gloucestershire, so they can arrive in luxury and style. An executive door to door car service is provided to businesses and families to all Major UK airports and Seaports. The Company's "Flagship" is the stunning and luxurious "New" 2016 MERCEDES-BENZ S350L "EXECUTIVE" (LWB) with heated & cooling, reclining rear seats. BMW 730LD "EXECUTIVE" (LWB) with heated & reclining rear seats. MERCEDES-BENZ E-CLASS (x3 cars available). Your executive travel is available 24/7 by appointment. Please call 07877 846 803 or email info@jonnyrockstaxis.co.uk to make a booking. So whatever your destination, always arrive in luxury & style with us! Jonny Rocks Ltd is fully insured and licensed with Cheltenham Borough Council and Gloucester City Council.